Two years ago, a meteor exploded above Chelyabinsk, Russia. The explosion was about 30 times the energy of the atomic bomb dropped on Hiroshima, and even at 20 miles in the air it injured 1700 people enough to seek medical treatment. While intrinsically bad, some felt that it might at least have the benefit of giving humanity a wake-up call. This was the first asteroid impact that we had been able to study before, during, and after the event, and the data gathered on the explosion energy allowed researchers to deduce that there are actually almost 10 times more asteroids around that size range than had been previously thought. Luckily, some humans have already been planning ahead. One of the first efforts to catalog asteroids was run by the Minor Planet Center in Cambridge, Massachusetts, back in 1947. Since then, NASA has taken a leading stance on the issue: in 1992, they announced the plan to document 90% of all Near Earth Objects (NEOs) larger than a kilometer in diameter. This was completed early last decade, and we now understand asteroid science and distribution fairly well. In 2005, Congress ordered NASA to discover 90% of NEOs over 140 meters in diameter by 2020, on a $250-450 million budget (it appears to be unsuccessful at this last goal). This observational effort has also sparked new research into what we do once a large asteroid has been identified. Many of the most cost-effective proposals for a “collision avoidance strategy” are also the simplest: fly something big into the asteroid, preferably something that explodes. Kinetic impactors and nuclear weapons are both near the top of the list. Unfortunately, asteroids that are only loosely held together would fragment by these methods but remain dangerous. This has led to more exotic ideas. A gravity tractor would hover above the asteroid, using gravity to slowly pull it off the collision course. A mass driver would scoop pieces off the asteroid and fling them into space, slowly but surely using this momentum to push it in the opposite direction. Another kind of mass driver would take advantage of slinging the moon’s “inexhaustible supply of rock bullets”. Finally, the Planetary Society’s proposed “laser bees” would hover above and shoot light at it. These methods are all vastly more expensive and time-consuming, but may become necessary if we discover a large “rubble pile” asteroid aimed at us. Despite these efforts, there is still debate over how we should prioritize these risks. The B612 Foundation has been rallying support for better asteroid protection since its inception in 2002. Their Sentinel Mission is one of the next-generation asteroid detection projects, using a space-borne infrared telescope to identify asteroids coming from the direction of the sun that we were previously blind to. The plan is to launch in 2018 with $450 million of funding, largely from the public. Tossing such large sums of money around should always inspire us to double-check our priorities. What exactly is our risk from NEOs, and what else can that money do? Risk first. We have a pretty decent idea of how things go down when an asteroid impacts earth. There is a small immediate-kill zone, then a (surprisingly large) area where all steel buildings are knocked down, then a larger area where the heat will give first-degree burns and light your clothes on fire. We even have maps to visualize the destruction. Larger effects that must be included are debris thrown into the air (much of which is in giant chunks that tend to come back down), tsunamis from sea impact, and stimulated earthquakes or volcanism. A comprehensive site from Imperial College London allows one to calculate all the immediate effects and some of these secondary ones. It takes as input the asteroid’s density, diameter, velocity, angle of impact, target type, target density, and distance away from you. With this kind of knowledge about impact dynamics, we can form a pretty good idea of what kind of risk we’re up against. Recent publications have quantified that risk, and the actuarial average long-term mortality per year has gone from >1000 to 250 to 100 to 60 over the last 25 years of asteroid observation. By discovering these NEOs, we are essentially purchasing insurance against their impact by giving ourselves the opportunity to deflect them. At this point, we have done so well that the marginal return of more detection is somewhat low. The Sentinel Mission alone plans to spend $450 million over the next decade to reduce this average mortality from 60 to 30 each year. However, this doesn’t even take into account costs of deflecting an asteroid should we discover a collision course. Then, doing the math, we’re spending some amount more than $1.5 million per potential life saved. This begs further analysis by a cost-effectiveness evaluator, of which GiveWell is the canonical example. Luckily, they have an asteroid impact evaluation already up; unluckily, they don’t have quite enough information to work with. Picking up in their vein of investigation, we can add a bit more nuance. We can divide our original baseline of $1.5 million per life by an average of 40 healthy years left for each saved person. This works out to about $37,000 per extra year of life saved, or Quality-Adjusted Life Year (QALY). This number is somewhat uncertain due to the funding uncertainties. However, other factors also come into play. The vast majority of deaths from asteroids tend to come from the very largest, in catastrophic events. In many of these, cities or countries will be laid waste. Then there is potentially a large stagnation cost to these strikes, as property destruction, rebuilding, environmental damage, and general destabilization take their toll. This would imply we may want to adjust our number down some, as our $37k goes toward reducing this suffering as well. Further, we might achieve valuable scientific goals from the endeavor itself, by tracking small asteroids for future missions or developing important technology. This also reduces our effective cost. On the other hand, if we do have to launch a deflection mission, it may cost between half a billion and a billion dollars. Since we probably won’t have to do this, it only raises the cost a little bit. But we missed the mark on observing 90% of NEOs the first time, so we may have reason to believe we’ll need more than just Sentinel’s funding to complete this goal, potentially doubling the cost. Considering possibilities like these allow us to tweak our estimate, but not well enough without confidence intervals cited in many of the reports we have to go off. It appears as if our final answer for the cost per QALY saved is somewhere between $8,000 and $80,000, with the most likelihood being near our original guess of $35,000. Armed with this number, what should our priorities be? This is certainly a hard question. GiveWell’s top rated charities cost under $100 per QALY, over two orders of magnitude better at saving lives. But Scott Alexander points out that in medical care, anything under $25,000 is considered “excellent value”, and the healthcare profession values QALYs at $100,000. Many charities do much worse than this. 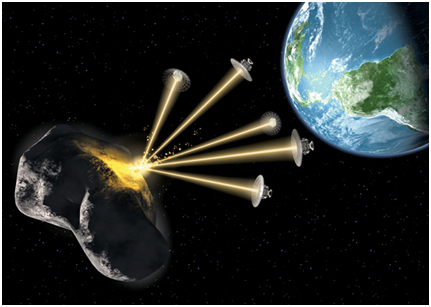 From this point of view, asteroid risk protection looks like a decent investment. It’s unfortunately not close to the efficacy of top charities, so I won’t be rushing to tell my friends about it. A private donor interested in helping people the most for their dollar can do much better elsewhere. But as a public venture, it would be certainly worth doing given that even pessimistic estimates place it within the worthy interventions by healthcare standards. In the future, more work should be done to determine the flow-through effects of asteroid impact and the confidence intervals for Sentinel to successfully document 90% of NEOs over 140m. If it was shown to be only a four digit cost per QALY, it would be a great intervention indeed, given that many such life-saving projects vary by orders of magnitude in their cost-effectiveness. While talk is not action, our ability to coordinate to use highly effective life-saving methods makes me optimistic about the future. But our ability to coordinate well enough to protect our planet from asteroids is even more astounding. As technology gets better, we may some day even be able to guarantee our planet full protection from asteroids at a reasonable price. Science fiction is rapidly becoming science fact.